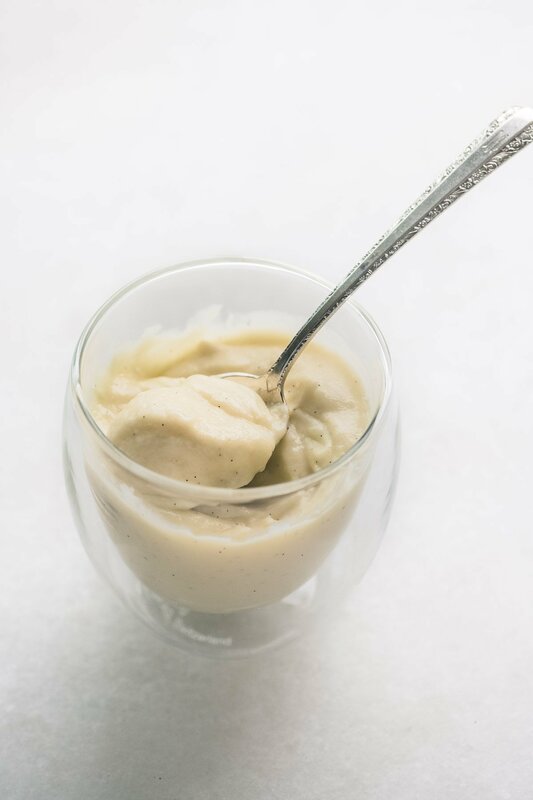 Kentucky Bourbon Vanilla Bean Pudding ~ this thick, classic, creamy vanilla pudding spiked with bourbon is an irresistible and comforting adult dessert! 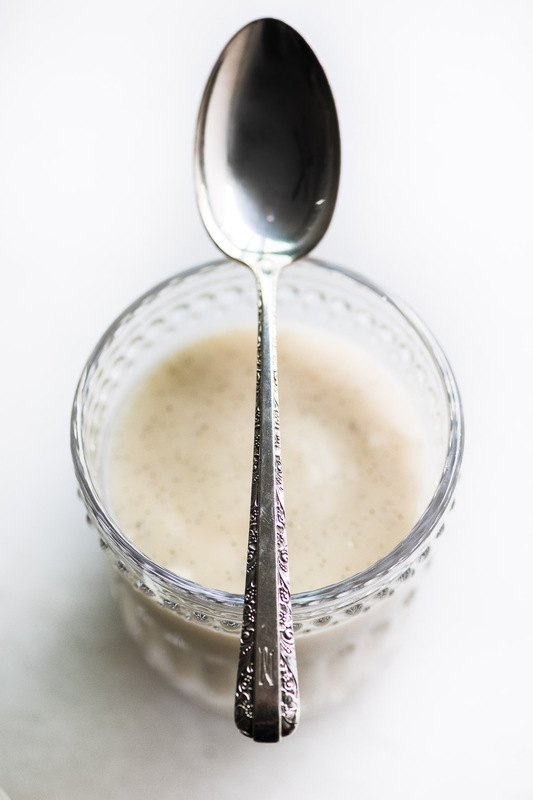 VINTAGE VIEW ~ my Kentucky Bourbon Vanilla Bean Pudding is from TVFGI archives, first published way back in 2011 (yikes, have I really been blogging that long?) As part of a series on the blog I’m reviving some of the best recipes that you may have missed over the years ~ I’ve updated the recipe and taken new photos. Every time the weather turns really cold I start thinking about this classic pudding. I make it at least once a winter, and I’m excited to (re) share it with you! Not all desserts are created equal. 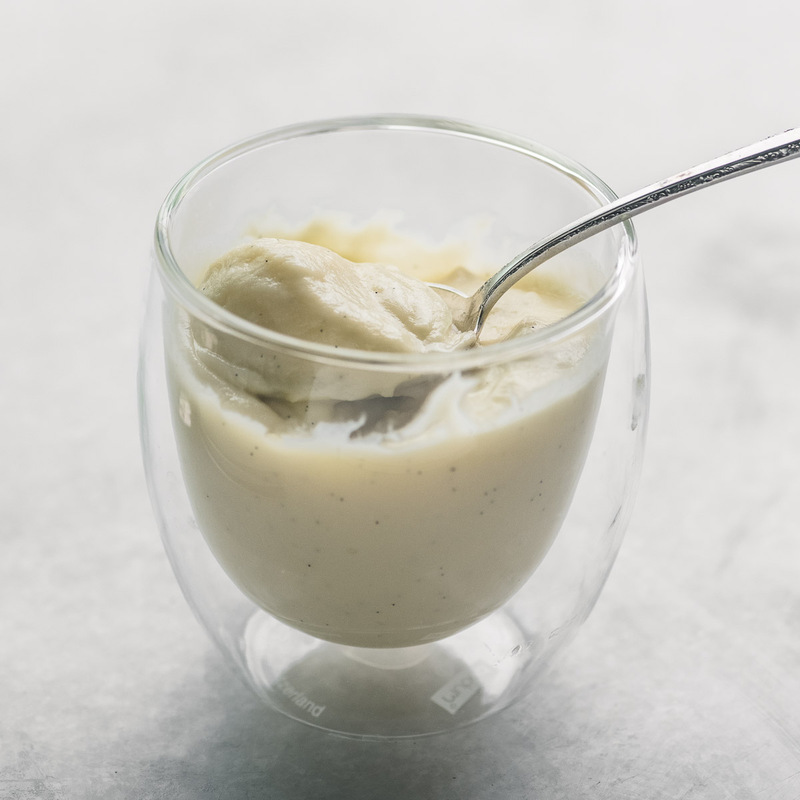 There’s gooey pecan pie, sinful chocolate brownies, calorie laden cheesecake, artery clogging ice cream…and then there is this bourbon vanilla bean pudding. It’s innocent, almost angelic. Calorie-wise it’s almost indistinguishable from your after dinner latte. I think of it as a warm dose of calcium in a cup. With a kick. 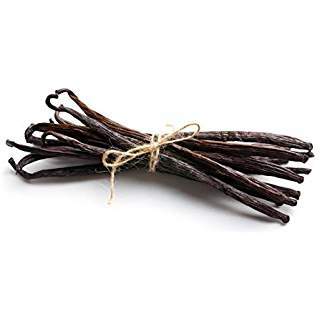 Madagascar vanilla beans have the most familiar, classic vanilla flavor and the strongest flavor of all the beans. Mexican vanilla beans have a slightly spicy, woodsy characteristic. Tahitian vanilla beans are the plumpest and juiciest, with a slightly milder, floral flavor. Just to give you an idea of what you are missing when you eat something flavored with artificial vanillin, the fake stuff represents just one of over 200 identified flavor compounds in natural vanilla beans. 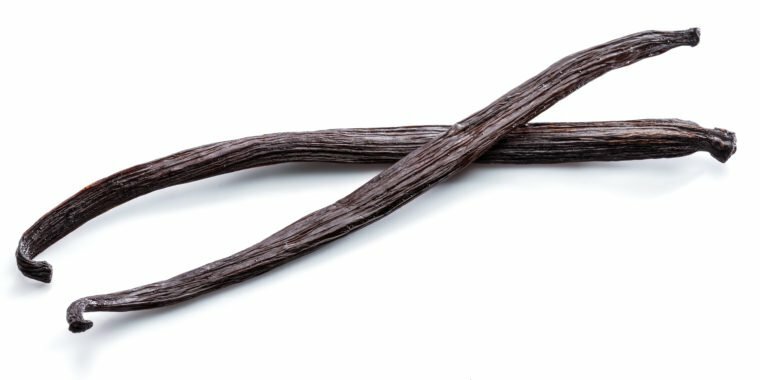 If that wasn’t bad enough, the USDA has approved the use of “non-plant vanilla flavors extracted from beavers to be labeled as natural flavoring“. Yeah. Vanilla is the second most expensive spice in the world (right after saffron). Vanilla orchid flowers grow on vines in just a few tropical regions in the world, and it’s a super labor-intensive process that must be done by hand, to harvest them. One flower produces just one vanilla seed pod. A vanilla bean can run you up to $6 a piece. Ouch. There’s no denying it, vanilla beans are pricy. But if you love vanilla, there’s no substitute for the beans themselves. I don’t have a specific recommendations for which beans to buy because it will depend on your taste and your budget. I will say that buying in bulk is more cost effective than buying them individually in those little jars in the supermarket. You can usually find bulk beans in varying amounts, some sold by weight, some sold by the number of beans. I recommend purchasing your vanilla beans from a reputable dealer like Beanilla, Vanilla Queen, or the Boston Vanilla Bean Company, just to name a few. The good news is that a used vanilla bean pod still has lots of life (and flavor!) left in it. First rinse and dry the used bean before re-using it. Add them to a canister of sugar. The beans will infuse the sugar with the subtle flavor for months to come. You can add several beans to the sugar and leave them there as you refill the canister over and over again. Give the sugar a stir from time to time to distribute the flavor. Add them to a canister of ground coffee ~ this will be the best vanilla coffee you’ve ever had because it will be naturally flavored. Add them to a bottle of vodka or whiskey. Use them to infuse milk or cream for any recipe. Add them to your morning oatmeal while it cooks. Let them infuse in lemonade or tea. After a few uses your vanilla beans will probably have lost their potency, so you can toss them. I have a soft spot for real vanilla, I loaded in on in my Triple Vanilla Pound Cake, I put vanilla extract, paste, AND beans in that one. I add vanilla where you don’t always expect it, too, and I love how it accents my Pink Grapefruit and Vanilla Bean Jam, or my Whipped Kabocha Squash. 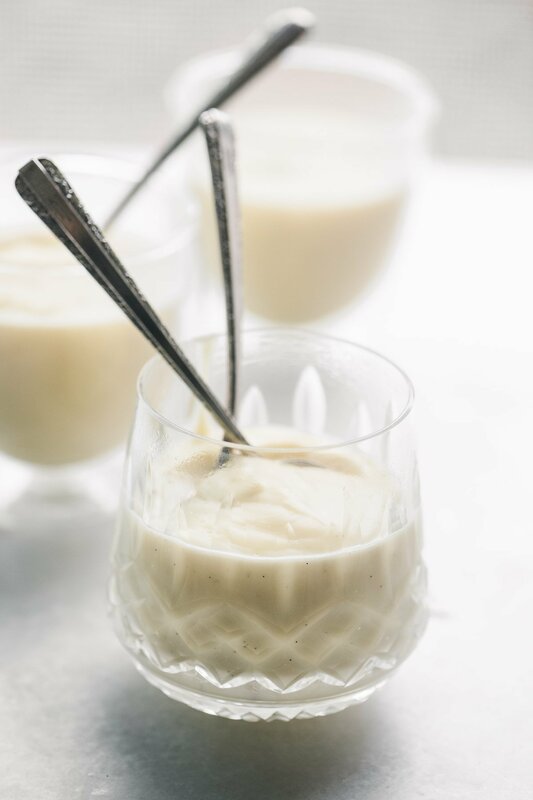 I serve this pudding in small glasses, and it needs no garnish, the creamy texture, full bodied vanilla flavor, and hint of bourbon stand alone. What brand of bourbon do I use? I used Bulleit Bourbon, but you can use any brand you happen to have or like. 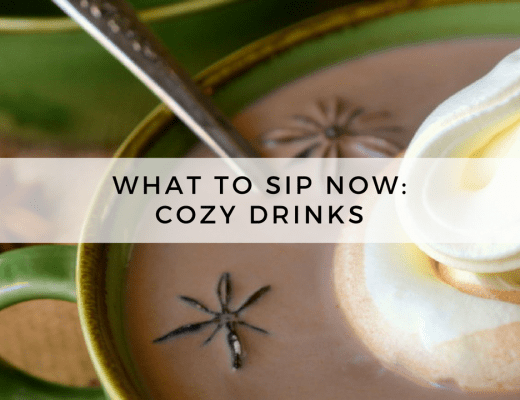 Can you leave out the bourbon? 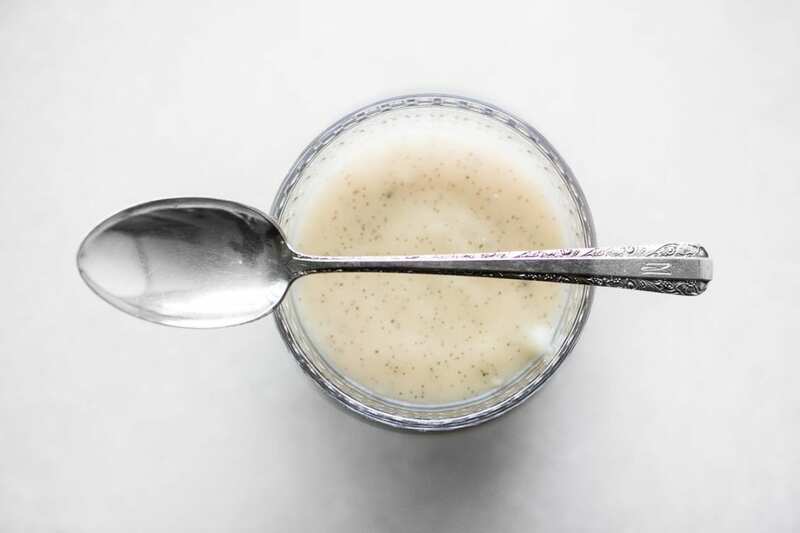 Can you use vanilla bean paste instead of a vanilla bean? 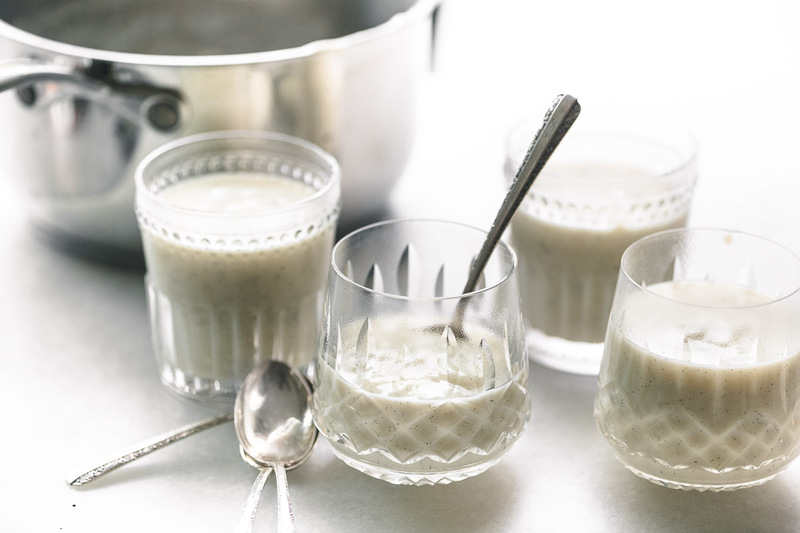 Yes, you can use 2 teaspoons of paste for this pudding. Put 1 cup of the milk and the half and half in a saucepan. Run the tip of a sharp knife along the length of the vanilla bean, split it open and use the side of the knife to scrape the seeds into the pan. Add the bean along too. Heat just until it comes to a simmer over medium heat. While that is heating, whisk together the sugar, cornstarch, and salt in a medium heatproof bowl. Whisk in the remaining 2/3 cup whole milk, and then the eggs. Once the milk has just come to a simmer, very gradually drizzle it into the cornstarch mixture in the bowl, whisking the whole time. Return the mixture back into the saucepan, stirring constantly with a rubber spatula or whisk. Once it comes to a simmer, cook it for one minute longer, stirring constantly. 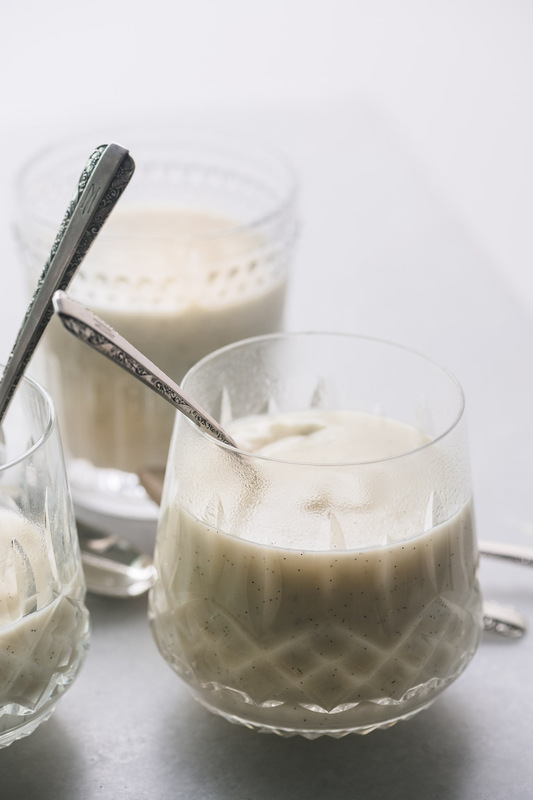 Stir in the vanilla extract and bourbon and divide the pudding among 5 or 6 dishes. I like to eat this pudding warm, but you can chill it in the fridge to set it up. Whether you eat it warm or cold, you'll get the nice follow up warmth of the bourbon in every bite. If you love pudding but are more of a chocolate lover, try my Warm Chocolate Pudding. Lemon’s your thing? 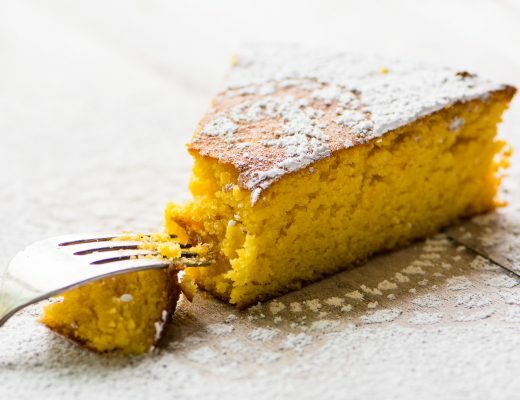 Try this Warm Lemon Pudding Cake. 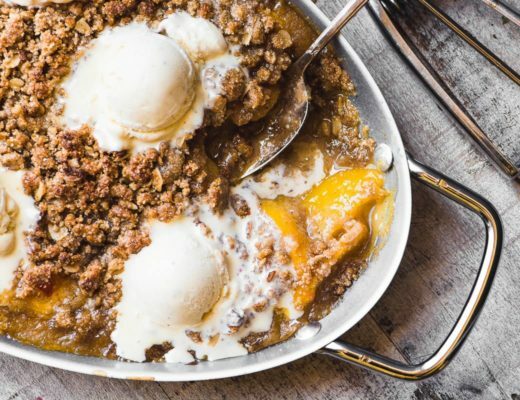 I would love to make this but there are only two of us – so can it be reheated or is it just as good cold – of course I guess I could make half a recipe and pig out – please let me know best practices. It’s definitely fine cold, Patricia, and this recipe is fairly small, (and the serving sizes are very small,) so two of you would be very happy with the amount, I think. I love pudding so I plan to try this with and without the bourbon. My vanilla is about 4 months pass the use by date but it still tastes fantastic and I will use it to the last drop! Maybe I should buy a smaller bottle but when they announced the surge in price before it happened I bought a large bottle. Unless it looks funny or tastes off I will use it, I don’t know what is supposed to happen if you don’t use it by that date but so far it still beats anything the grocery store sells. I think I’m going to try the Vanilla Queen company next. I agree about those use by dates, I take them as just a suggestion :) I’m going to be posting a diy vanilla extract recipe soon, I think you’ll have fun with that. Your recipes are amazing! I can’t wait to try this one. This is an oldie but goodie Robert! Oh yes I do love this pudding! Eaten warm – it must be fantastic. LOVE it! This is an absolutely fantastic share, Sue. 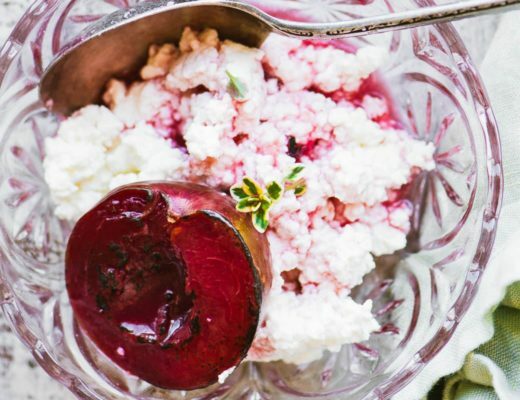 I’m trying to be conscious of desserts since summer is coming up, and this is the perfect fit! 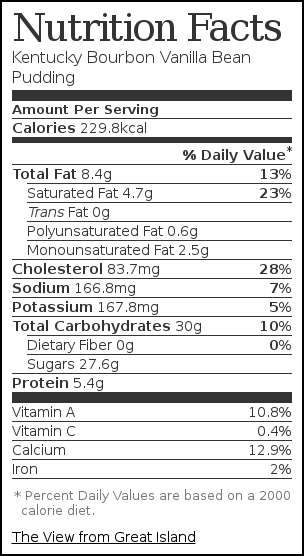 And by the way… what on Earth is that about vanilla flavoring? Did I read that right… beavers???!? Love the look and taste of little vanilla beans in your yummy treat. Your photos are awesome! This looks amazing, Sue! I’m now considering it for a girl’s night dessert tomorrow night. Thanks! Oh my gosh. I would be licking that bowl clean. I had to restrain myself from licking the computer screen. Bourbon in desserts is my favorite. Wow, fantastic photos – it just looks so appealing. This looks so yummy. I bet it was hard to eat just one little cup. After I scrape my vanilla beans out of the pods I put the used vanilla beans in a jar of sugar and it flavors the whole jar with vanilla flavor. This looks so good; I can smell it and almost taste it; I guess I will have to make it; great post. You are a real Foodie! I’m so jealous of your family! By the way, Sue, what camera do you use? I’m planning on getting a new one and just browsing around with what people use. Your pictures are always so beautiful.